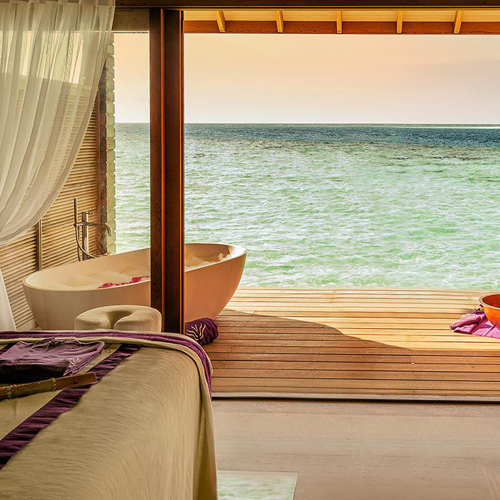 Hurawalhi Resort & Spa is an adults only enchanting private island located in the pristine Lhaviyani Atoll in the Maldives. One of the main attractions on the island includes the worlds largest underwater restaurant. 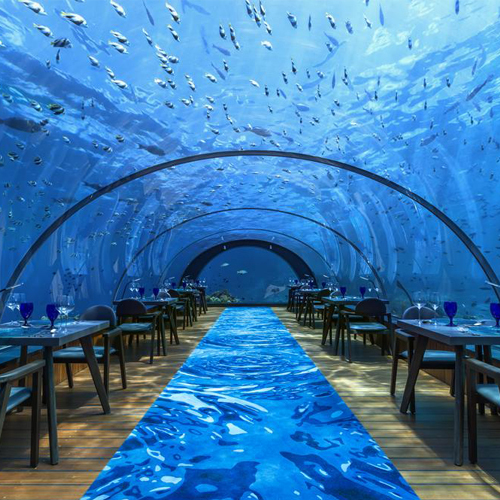 Dining under the ocean next to all the beautiful corals and the fishes will be an experience you will never forget. 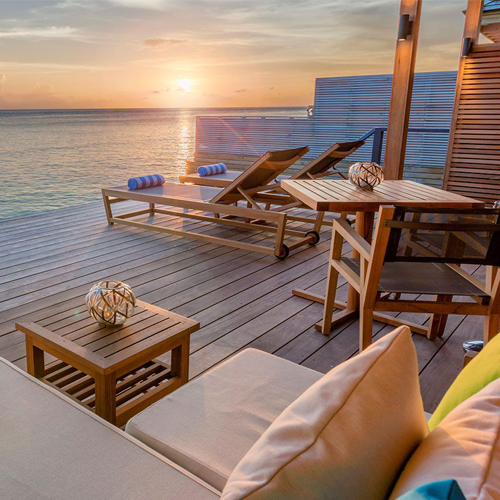 This slice of tropical paradise can be reached during daylight hours by a scenic, 40-minute seaplane flight from Malé International Airport. 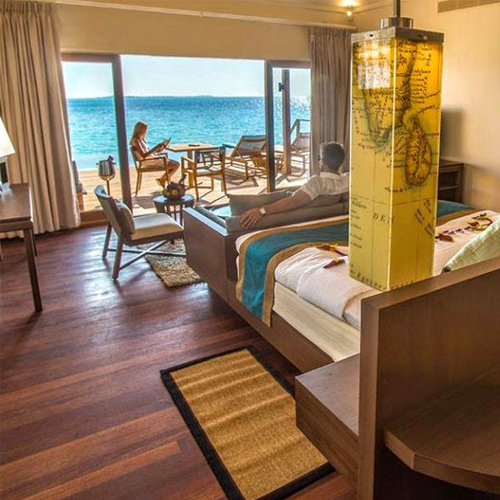 The resort boasts superbly designed, exclusive and supremely spacious villas on the beach and over the water. 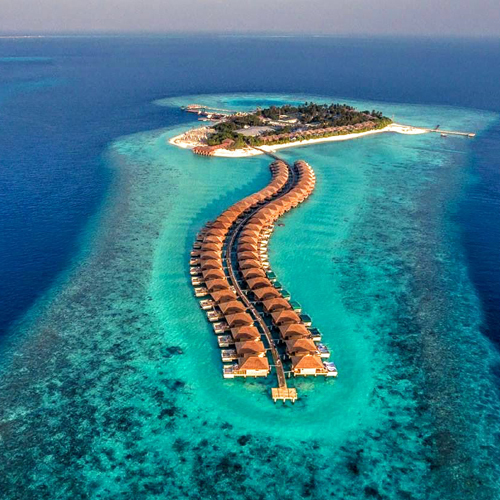 The new resort masterpiece wows its guests with breathtaking surroundings, top-notch facilities, amazing diving and snorkeling, and a myriad of relaxation options. 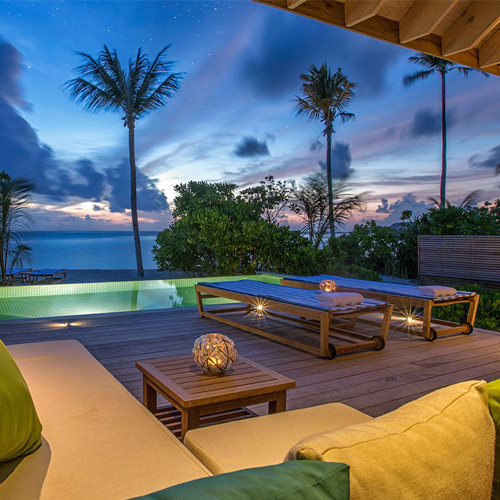 Right outside your villa you will find unending access to the beautiful ocean. There's plenty of activity to do as well, including a large soccer ground. If you're more of an indoor sports person, then there's plenty of fun to have at the Games Room inside Coco Bar. Spa facilities and excursions are also available to be booked onsite. Aside from the worlds largest underwater restaurant, you will find two more dining options available on the island. And of course two bars to help you wind down and relax. © 2018 LuxoTravels LTD. All Rights Reserved. Comp No.10852220 Registered In England & Wales. A Luxo Group International Company.